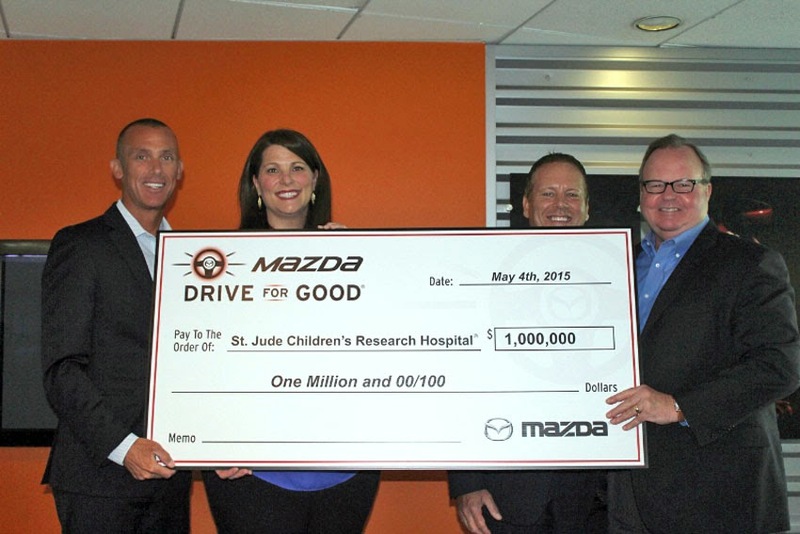 Mazda North American Operations (MNAO), through its Mazda Drive for Good program, announced a US$ 1,000,000 donation to St. Jude Children's Research Hospital. rate among children and allows them to continue their treatment without ever giving a patient's family a bill," said Jim O'Sullivan, President and CEO, MNAO. "However, this donation would never have been possible without the donations being directed by our customers throughout the month of December during the Mazda Drive for Good event. So, while this donation comes from Mazda Drive for Good, it is really a direct result of our customers wanting to give to St. Jude."